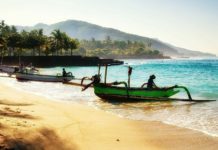 When you only have three days, it’s worth focussing on the top 10 things to do in the city you are travelling to. That’s exactly what I aimed to do when I spent three days in Kuala Lumpur. Even with a little rain messing up a few of my plans, I still managed to tick almost everything on my Kuala Lumpur bucket list. 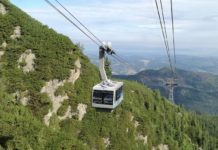 Here’s what I got up to (and where I think you should check out, too!). I wasn’t surprised that the mall was large. In fact, it reminded me of all those shopping centres in Thailand that I saw last year, but it was a bit confusing. 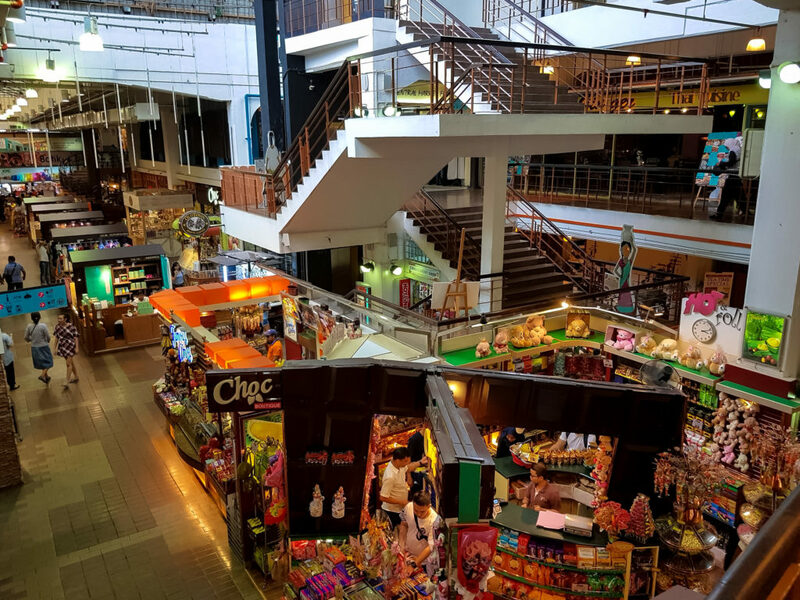 The ground floor was full of western shops and restaurants, then the higher you went it slowly transformed into Asian shops. 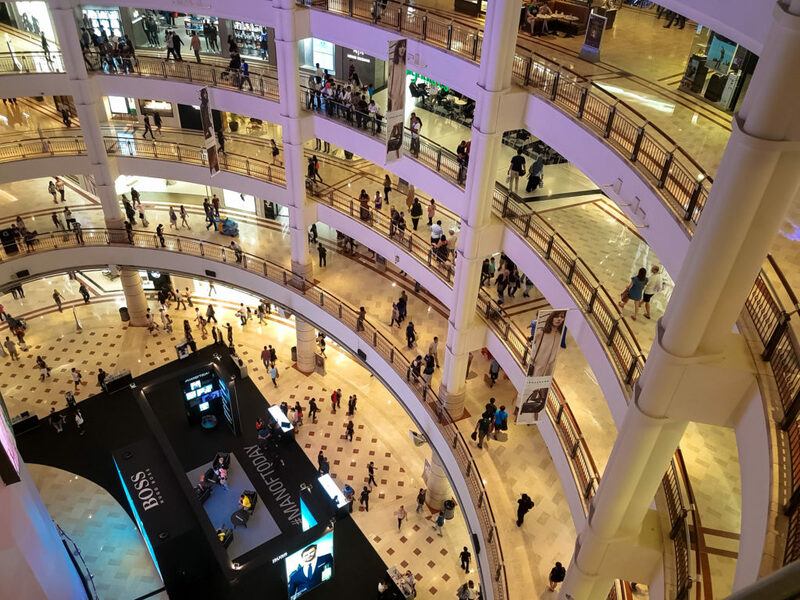 I didn’t plan on kicking off my three days in KL with a shopping spree though, I just wanted to get to the hotel, put down my suitcase and start exploring! It was late afternoon, so we knew we wouldn’t have tons of time to see things today. 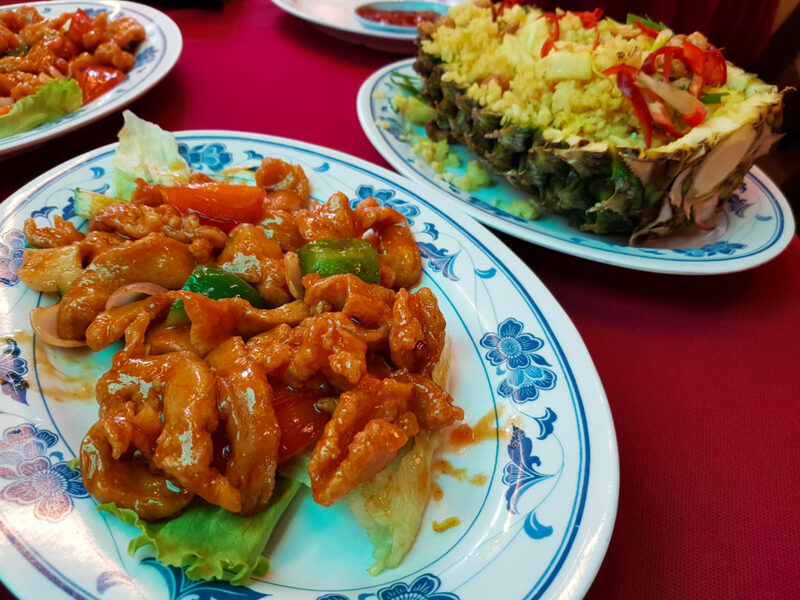 That’s why we chose to spend day one in Kuala Lumpur in Chinatown. It was only a 30-minute walk away, the weather was good and before we knew it we found ourselves in a crazy, colourful area full of Chinese food and stalls selling bags, clothes and accessories. 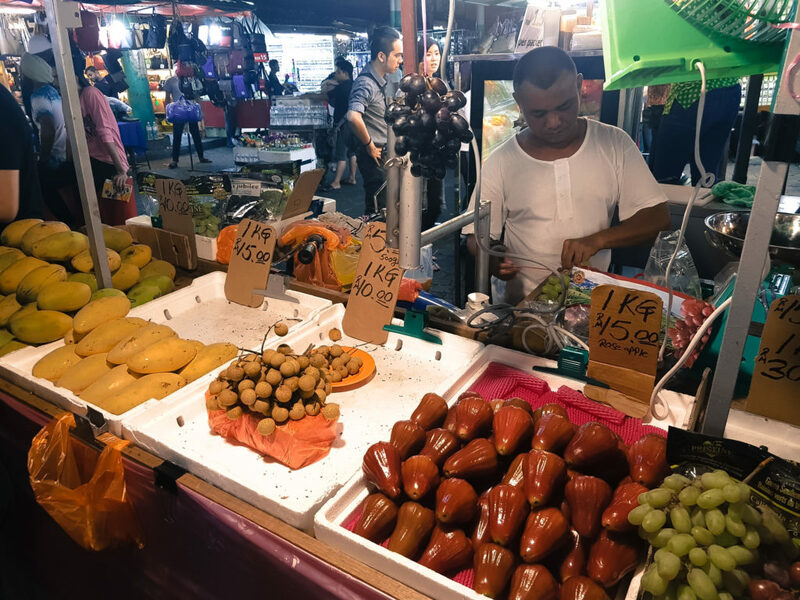 The main night market was called Jalan Petaling and you will literally find everything you want there. Unfortunately, everyone was there to make money, so it became a little annoying when every single seller instantly tried to push you to buy stuff. We walked through and bought dinner from a place that opened into the street. Being in Chinatown, the choice was easy! We ordered some sweet and sour chicken and I have to say it was the best meal I had on the entire trip. After a little more browsing, we grabbed a taxi and went back to our hotel. We woke up to rain on our second day in Kuala Lumpur. Even though it was really hot outside, I wasn’t too keen to walk in the thunderstorm. Our plan for the morning was to visit the Sultan Abdul Samad Building, but to avoid getting wet, we started by heading to the malls to shop. Luckily the weather calmed down and we didn’t have to sit the whole day out inside. 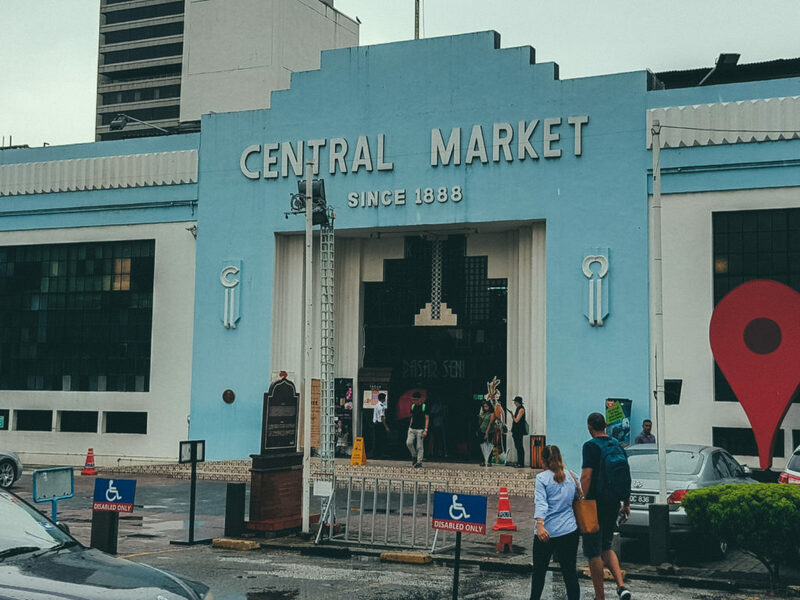 We jumped in an Uber, which is also available in Kuala Lumpur, and went to Central Market – the cultural landmark. 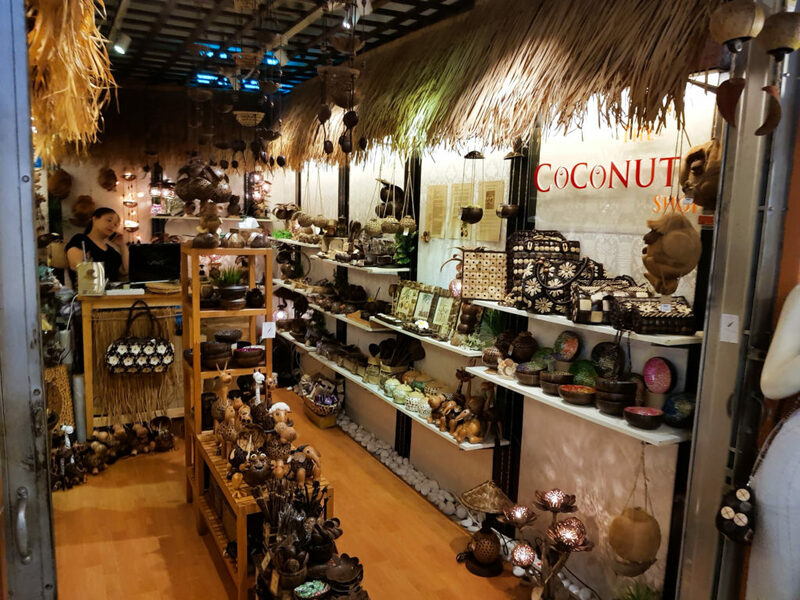 It’s a tourist attraction with shopping too – choose from all kinds of silver goods, crafts and souvenirs. After that we went back to Chinatown to see how it looks by day. We tried to find the restaurant from the night before, but when we got to the same place there weren’t any signs out. I think they must only serve food in the evenings. 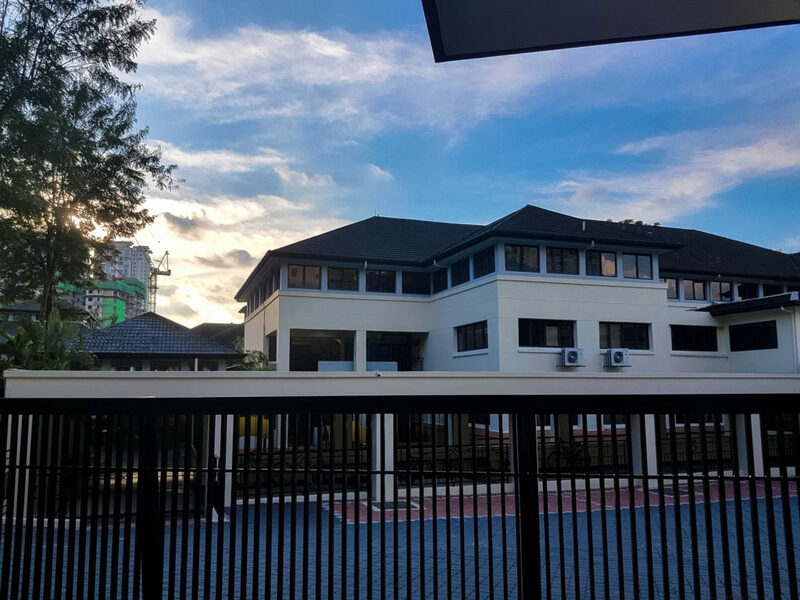 As evening arrived, we chilled out by the pool and then afterwards we went to see the Kuala Lumpur nightlife on Changkat Bukit Bintang. We met some other travellers there and went to few pubs. I was hoping to see something similar to Thai Khao San Road but it was still a lot of fun. 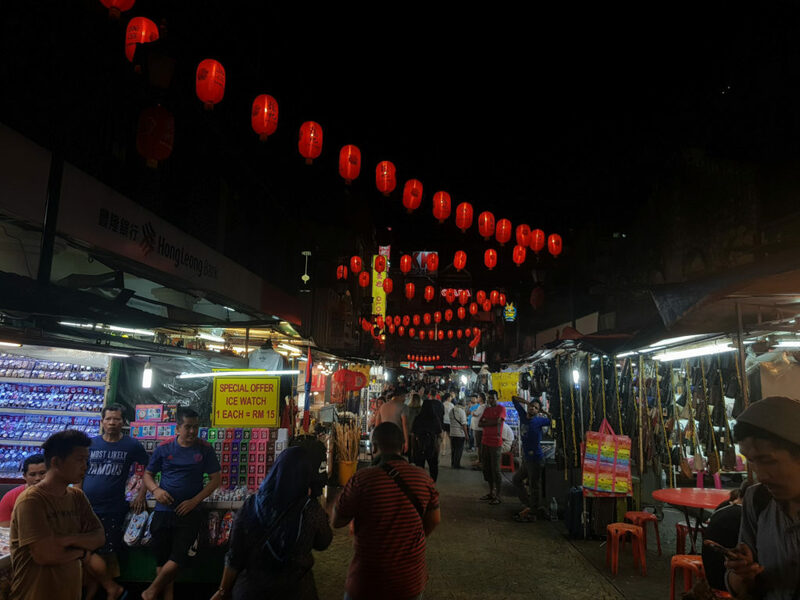 We spent the end of the night on Jalan Alor – one of the most famous roads in the city for food. 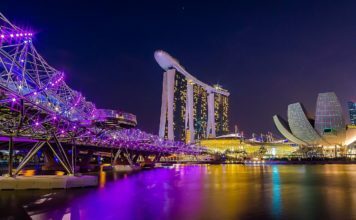 Enjoy experiencing the local nightlife when you travel? 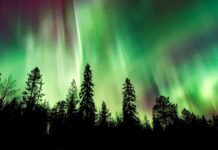 Check out my guide to the best nightlife in five European cities for more inspiration, too. For the third day we planned to visit the Batu Caves. These caves were discovered at the end of the 19th century in limestone formations, 13km north of Kuala Lumpur. 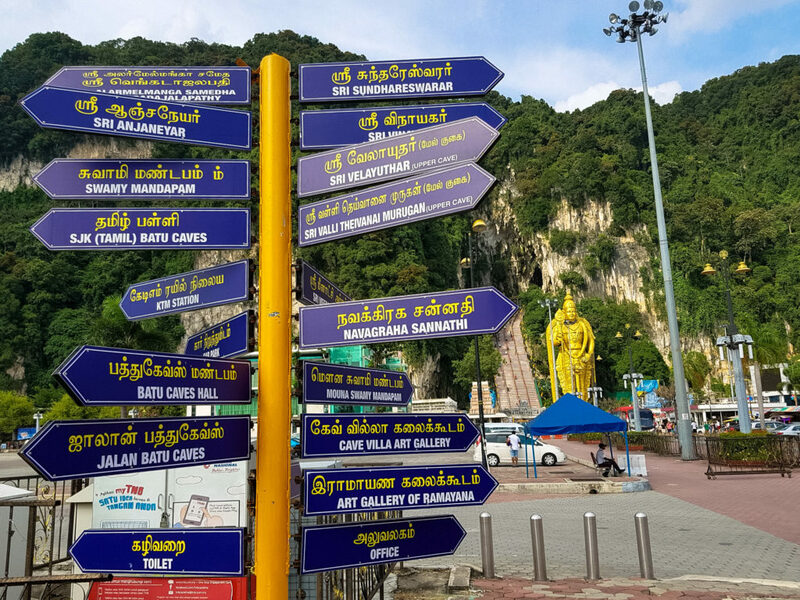 After grabbing a quick lunch in a mall nearby, we ordered an Uber and after about 30 minutes we’d arrived at the Batu Caves. 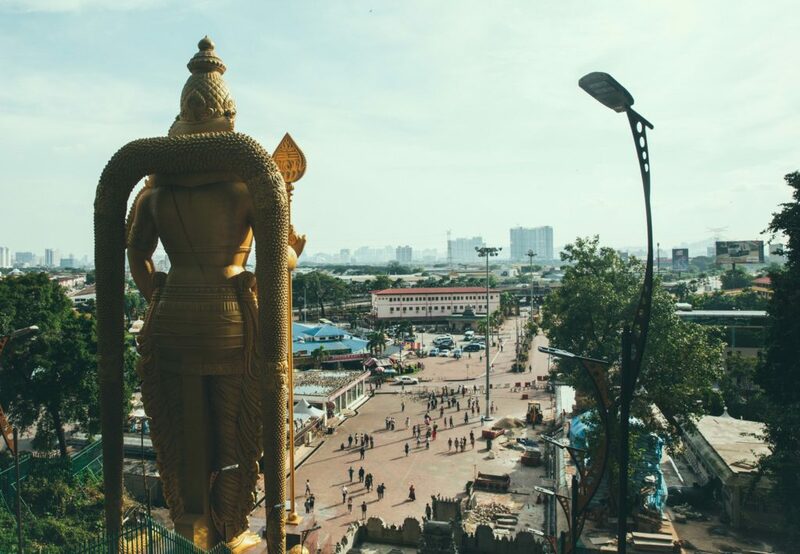 It’s free to get into the temple and you definitely won’t miss it because it’s guarded by the largest wooden statue in the world – the god of war Murugan, standing at about 42m tall and covered with gold paint. To see the caves you have to take 272 steps. At this point I started to regret the drinks I’d had the night before! It was also very hot outside, so I have to say it was pretty challenging. The steps were also pretty small and somehow my fear of heights was also giving me hard time. Going back up, you will also spot many monkeys so be careful that they don’t nab your belongings! The caves do not make such a great impression, but they are a very important pilgrimage site for Hindus. 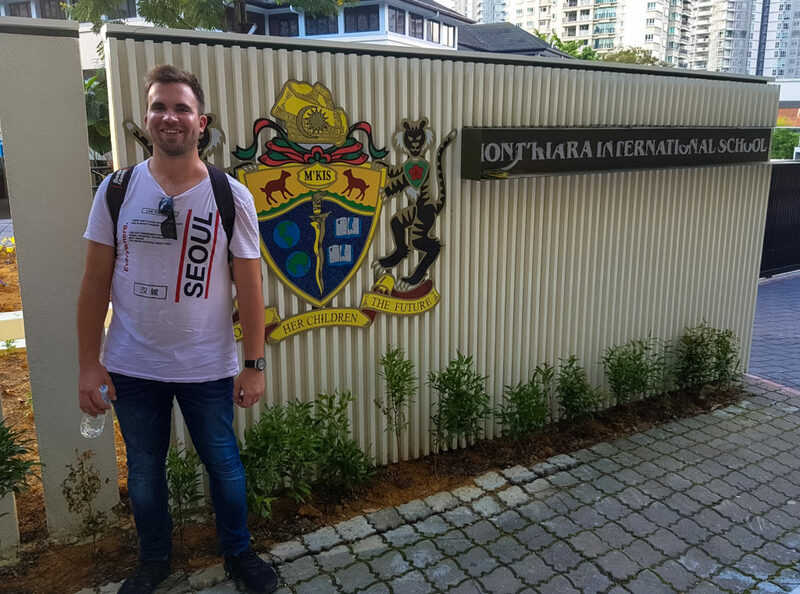 There isn’t much around the Batu Caves, so after our visit we jumped in a taxi to find an American school that my husband used to attend while he was a little kid. I don’t know much about the area he used to live, but it was definitely less Asian and more Western. Eric told me he can’t remember much, but it’s become more built up in the 20 years since he was there. It was our last evening in Kuala Lumpur, so we headed straight to Petronas Tower. We didn’t go to the viewing terrace, either here or at the Menara KL Tower, because we had excellent city views from our hotel. Instead, we chose to enjoy the tower from a nice restaurant with delicious food inside the building. After dinner, we got an early night because there was another flight waiting for us early the next day. 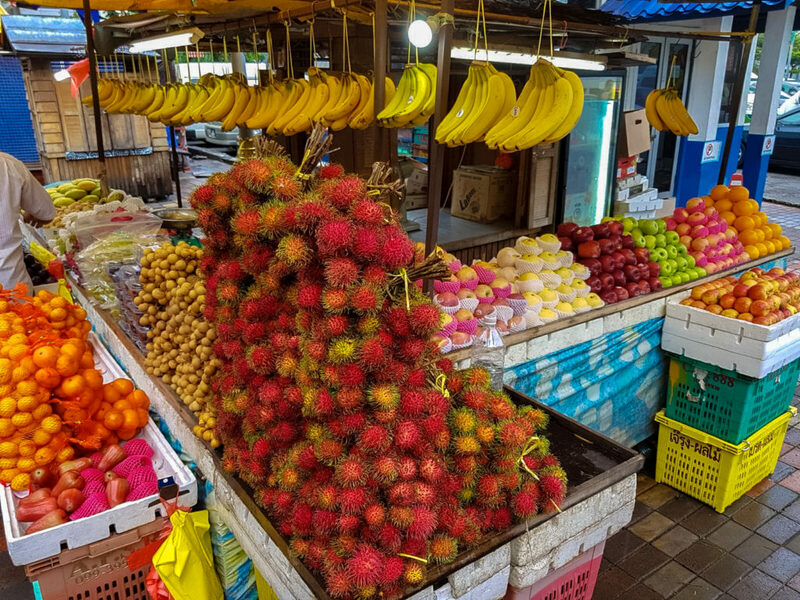 Our visit to Kuala Lumpur was short, but I got to see how interesting, colourful and modern much of the city is, as well as experiencing traditional elements and the diverse cultures the city has. I hope to return and see the rest of the country one day. 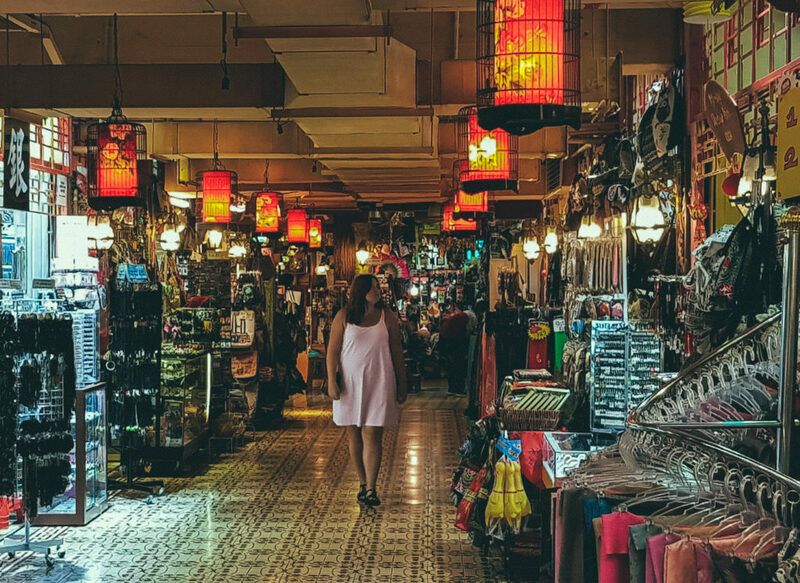 Where are your favourite places to go in Kuala Lumpur? 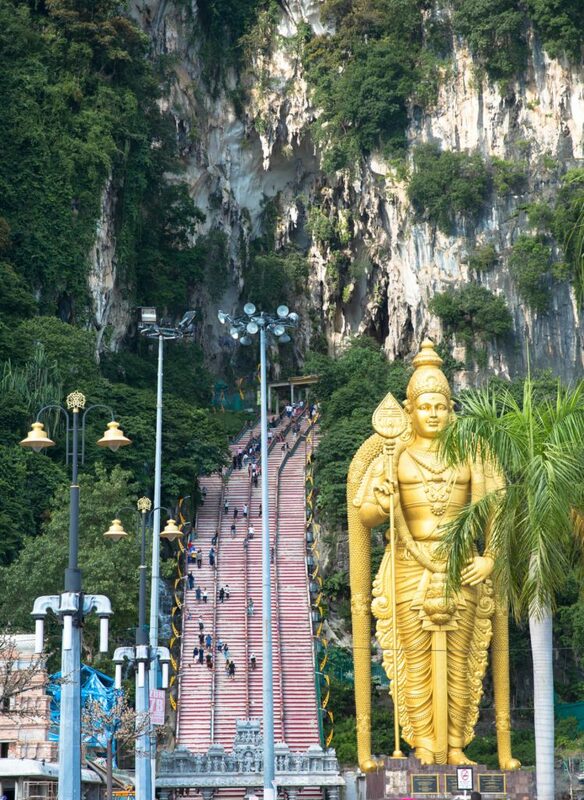 Ugh – Can’t believe we didn’t go to the Batu caves, really have to get there asap. 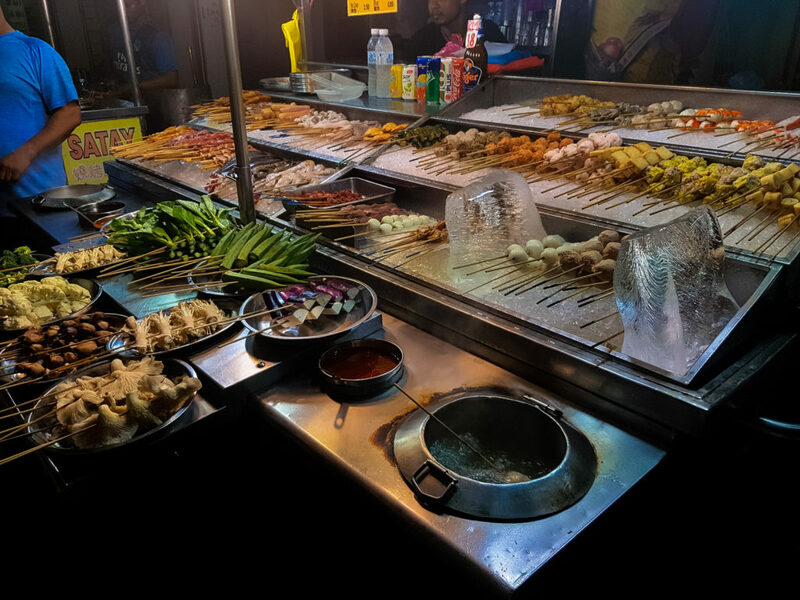 Food in KL is quite nice, feel we didn’t eat enough of street food though. Looks way too good from the photos. Central Market looks like a modern Binh Thanh market in Saigon, would love to see it! A lot of to-do’s for our next KL visit I guess! I visited Kuala Lumpur for a day only. I was taking my train obsessed kid to Thomas Town. I wish we had more time there. 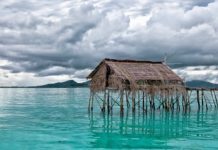 I absolutely have to go there again and this time plan to explore more, You give some good tips about places to visit which has me looking forward to going there again. And the food looks soooo yummy !!! My favourite is the big blue mosque near the American school you visited. And also the Thean Hou temple. Malaysia is one of the few SE Asian countries that I have not yet visited, so KL has always intrigued me. Somehow I also missed the fact that it is only 5 hours by road from Singapore, where I have been a few times. 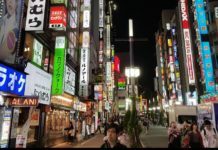 I like how you have captured every aspect of the city mentioning the food and the shopping along with the religious and traditional along with the more modern such as the malls. 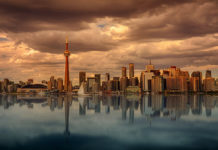 Would love to take a week and explore the city and its surrounding areas. True that! 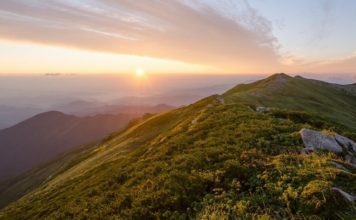 When it is a new destination for me, I first see the top touristy places then move to the offbeat ones. I enjoy sampling local food wherever I go. 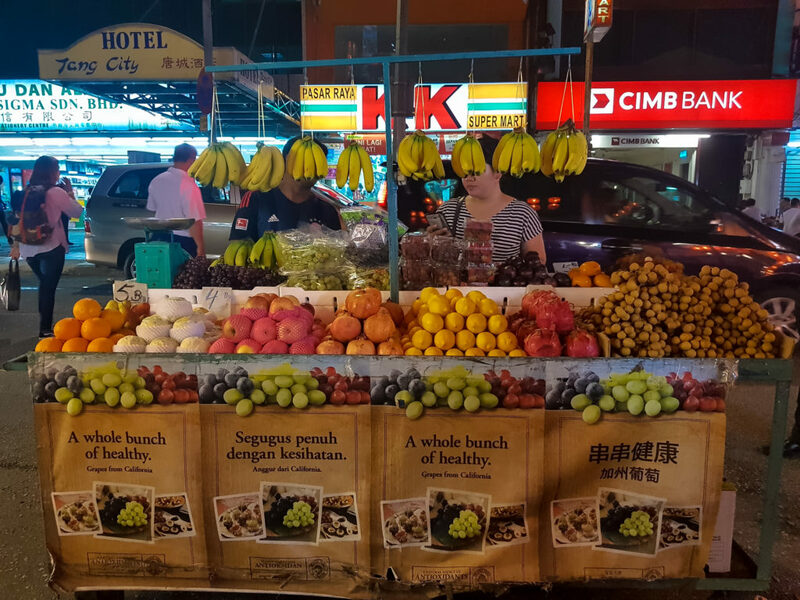 Do you think it is easy to find vegan or vegetarian food in Kuala Lumpur? 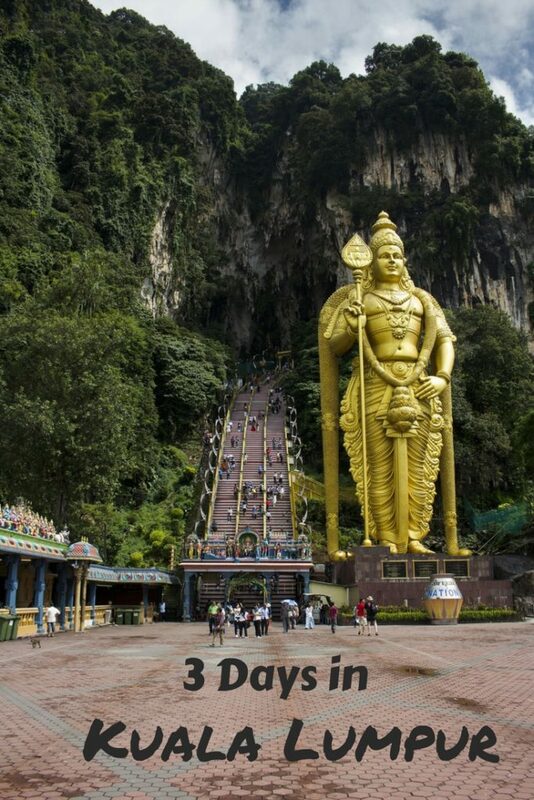 I can’t wait to see Batu Caves. I want to see how Hinduism has evolved in Malaysia. I have No idea about vegan and veggie kitchen in KL but I am sure you can find some great places ! Those diets are getting more and more popular this days! Your article brought back memories of my trip to Kuala Lumpur a few years ago. We explored the city with the hop-on hop-off bus. I enjoyed the musical fountains at the Suria KLCC. The Petronas Towers were impressive too. I love China Town and central market, I remember visiting them on my short 8-hour day trip to KL from the Princess Cruise that we were on. 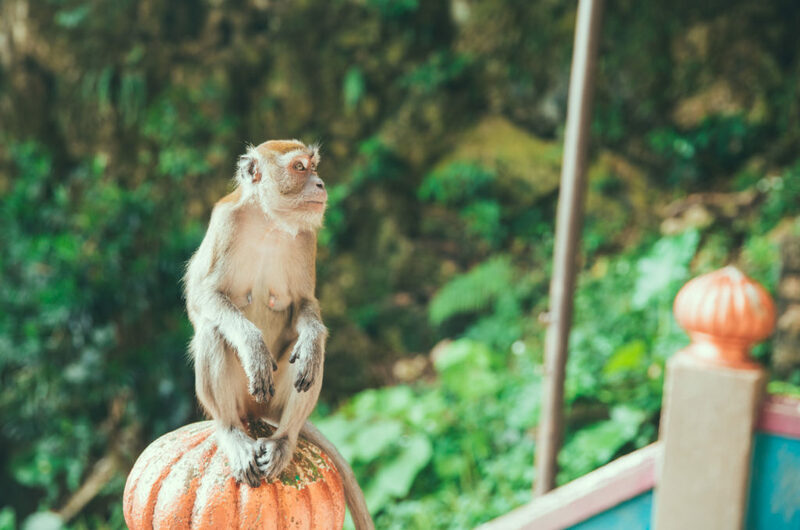 It was a pity that we couldn’t make it to Batu Caves as they’re a highlight of KL but they’re far from the city and we just didn’t have enough time for it! I think 3 days would be a good amount of time to spend in KL, as you can enjoy the food, shopping, sightseeing and the nightlife. Yes that is exactly what I would recommend my friends too when they go. I did all of those activities and really liked KL. Also cool is to go to the Helipad for a drink or the Traders Hotel as those places have the best views over KL. 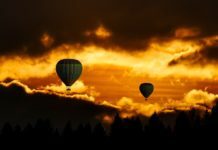 A very unique and different post on KL. As many people just show the twin towers and other modern side of KL. But you have explored KL in a very unique way. I would also love to go for cultural and traditional markets like China Town and Central market. Also going to Batu caves must be interesting. As these caves are formed by limestones and at entrance there is a big statue of our god Murugan, it is now a definite visit for me. Ok, to be truthful, I only see the good part. I’ll like to try out every meal you had and dine at the same places. It must have been a sad one to see that our lovely restaurant at Chinatown is closed during the day. In 3 days, you really did much in Kuala Lumpur and starting off in a mall sounds funny. I love China town more, and the caves too looks like an interesting place. Thanks for the guide. I was in KL last year on a diplomatic mission and I went to all the places you mentioned, excluding your husbands school! 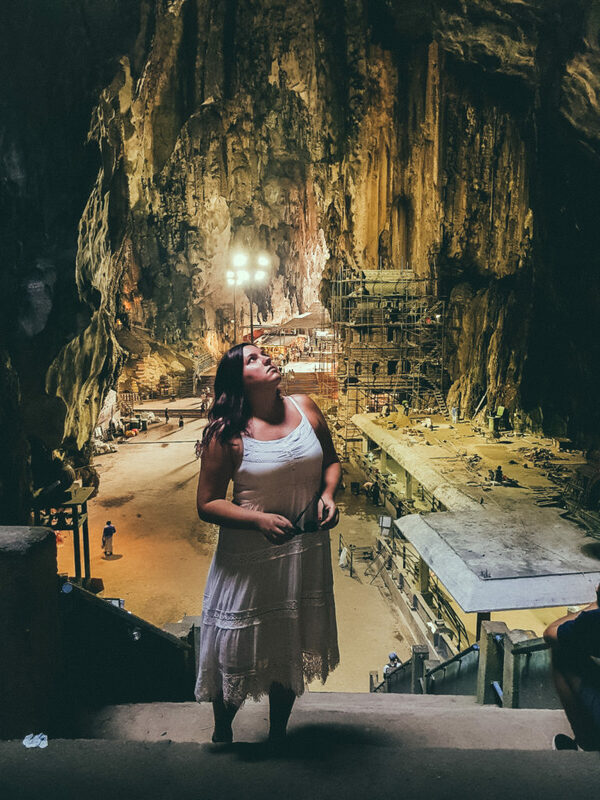 I really liked Batu Caves – although I lost some camera wires in the dark caves tour. 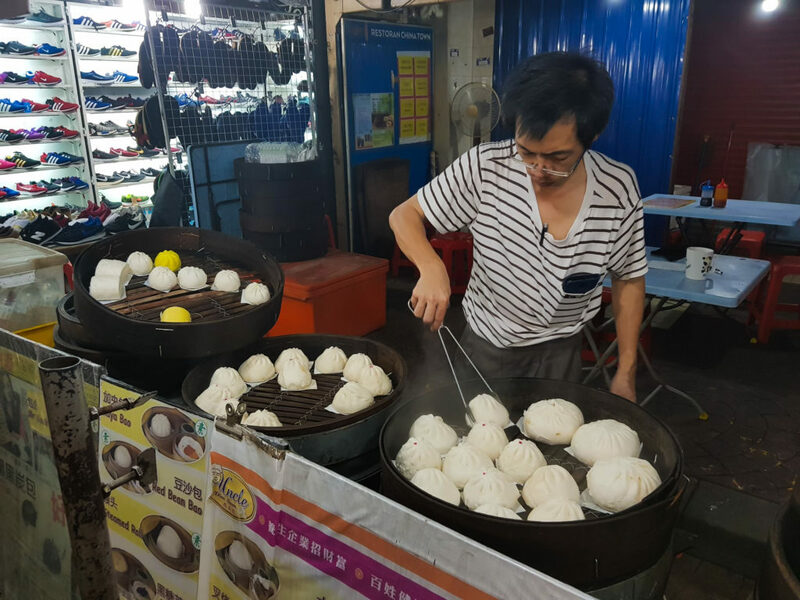 I also liked Chinatown, and the markets, although I’m case hardened from years of travelling, and speak Malay (Indonesian) so the sellers don’t bother me much. I could add the National Museum to the list of recommendations if you are interested in the cultural history of the entire Malay peninsula.